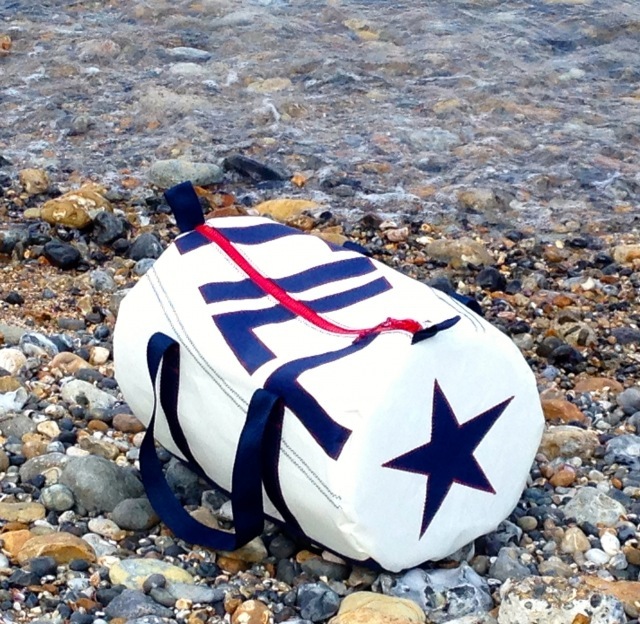 We have added a Star at one end of our Personalised white sailcloth kitbags. 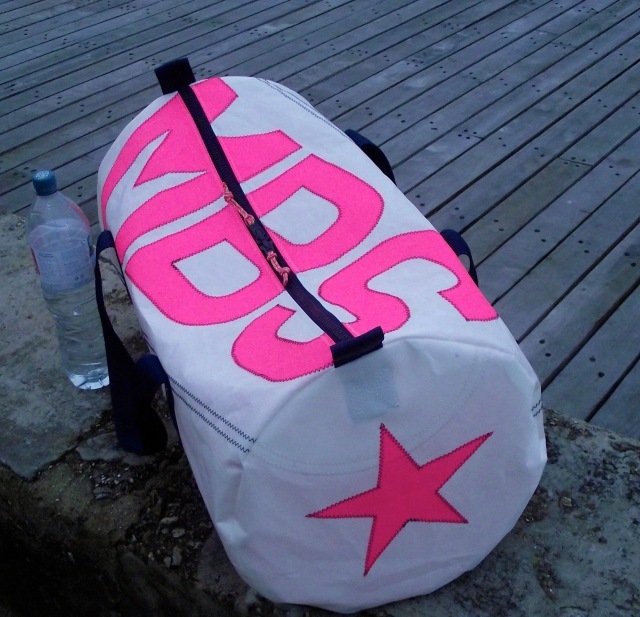 We can personalise your kit bag with up to three letters/numbers including a star motif in a colour of your choice. 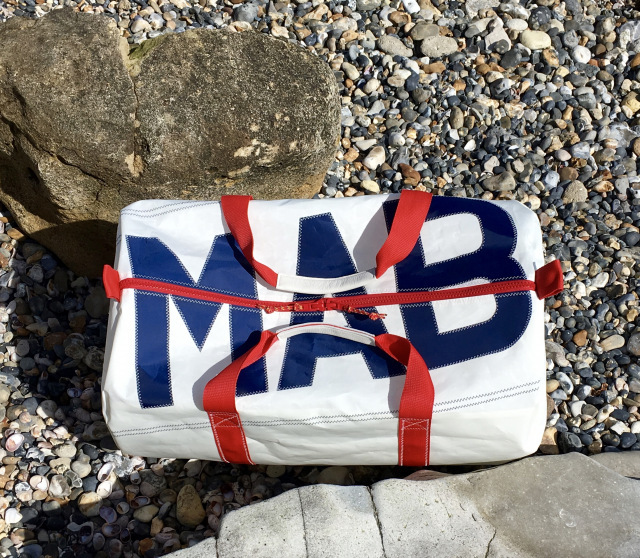 We make them from excellent, top quality, new sailcloth. navy blue, mid blue, red, grey, black, green, raspberry pink, fluorescent orange or fluorescent pink, fluorescent green or fluorescent yellow. They characters are cut out by hand and sewn on in traditional sailmakers zigzag stitch using coloured U.V. resistant thread. navy blue, mid blue, pale blue, indigo blue, dark green, dark grey, light grey, white, burgundy, plum, red, orange, yellow, dusty pink, beige, and black. white, navy blue, red, black and neon orange. Lastly, we offer you a choice of having either white, navy blue, royal blue, dark green, red, grey or black webbing handles. - to the zip slider we add a colourful pull cord. - the Large, Large Long Length and Ex Large sizes have two zip sliders that allow easy access to both ends of the bag. - the ends of the bags are sewn in with three rows of stitching. If you would like the star in an alternative colour please select your colour from the colours available in the letters/numbers/star and add your request to your order. The kit bags are very popular bags with boys and girls of all ages. They combine stylish good looks with hard wearing practicality. They make wonderful presents for birthdays, anniversaries and special occasions. They are great for taking to the gym, sporting events, sailing the seven seas and for adventures to far away places. 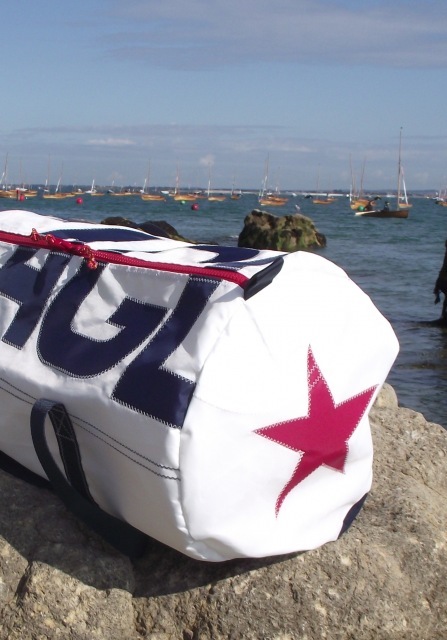 Description: sailing bags, kit bags, sports bags, gym bags, crew bags, travel bags and holdalls. Wash gently by hand with eco-friendly washing liquid at 30 degrees centigrade. Rinse. Dry naturally. Please do not add bleach, do not tumble dry and do not dry clean. Small: 50cm length x 25cm diameter. 24 litres approx.